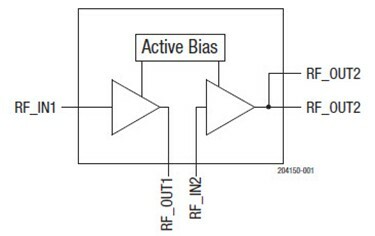 The SKY67180-306LF low-noise amplifier (LNA) operates in the 1.5 – 3.8 GHz frequency range and features active bias and high linearity performance. In addition to the high linearity, the output stage also provides high gain. The advanced GaAs pHEMT enhancement mode front end device provides ultra-low noise figure. Stable performance over temperature and process variation are a direct result of the amplifier’s active bias circuitry. This low-noise amplifier is ideal for applications in LTE cellular infrastructure and ISM band systems, ultra-low noise, high gain, and high linearity systems, and digital satellite radio. Download the datasheet for more features and specifications. MORE FROM Skyworks Solutions, Inc.